Gutter Leaf Guards - Gutter GuardsGutters & Guards, Inc.
Gutters & Guards, Inc. offers several gutter leaf guard options for any budget. 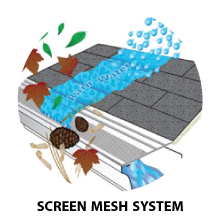 Over time gutter systems can fail due to clogs and weight created by leaves and debris. This is never an easy fix. There is a way to prevent gutter clogs from happening and cutting down the times you have to clean your gutters down to the recommended two times a year. That solution is investing in gutter guards. Gutter guards are a cover that you can place over your gutters that catch rain water and not debris. A good gutter guard system will ultimately increase the life of your gutters by eliminating potential damages. So it makes gutter maintenance a lot easier. 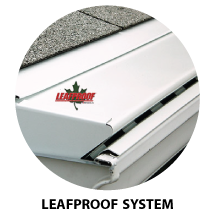 We offer a wide array of Gutter Leaf Guards that eliminate these potential hazards. 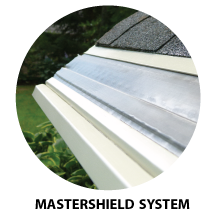 The most notable product line we offer is the MasterShield Gutter Guard system. This system is unsurpassed in the industry. Our MasterShield Gutter Guard system is GUARANTEED to eliminate gutter clogs. We also have a few other types that will cut back on those potential hazards, such as the screen mesh gutter guard and leafproof gutter guard. Call today! To learn more about the different colors you can choose and styles of gutter guards, please feel free to give us a call or visit our showroom.